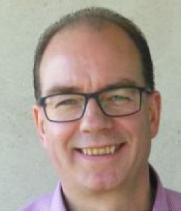 This is a guest blog by MIT Master Trainer Sjaak Bosman. 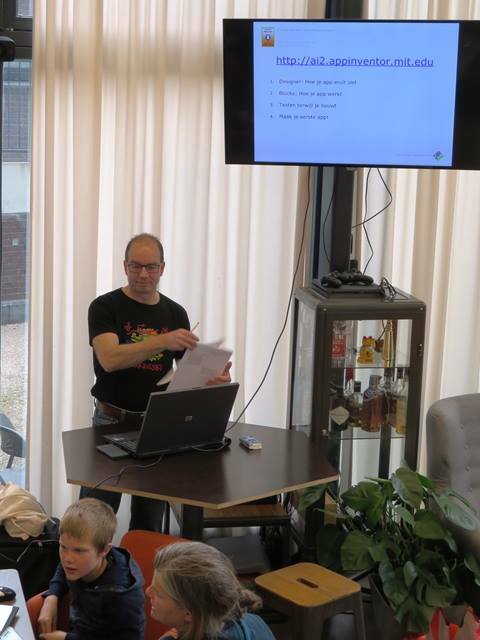 On April 29th MIT Master Trainer Sjaak Bosman has given a Show & Tell presentation and workshop to introduce MIT App Inventor to children at CoderDojo Rotterdam, The Netherlands. The original Show & tell presentation can be found at http://appinventor.mit.edu/explore/blogs/karen/2016/11/show.html. For this workshop it was slightly changed and translated into Dutch. 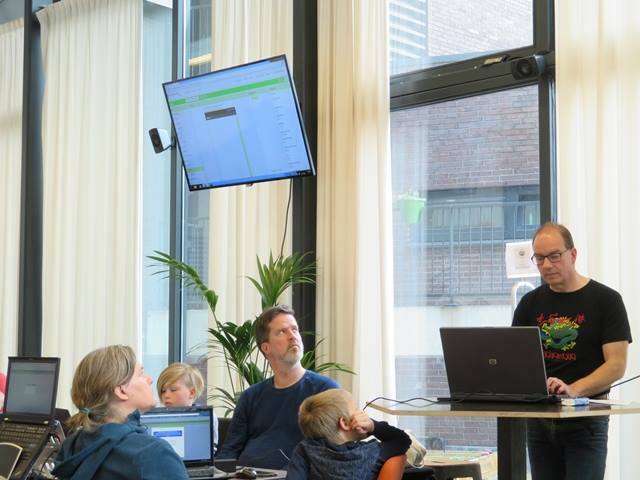 The intention of a Show & tell presentation and workshop session is showing the ease of use of App Inventor, and to tell about the endless possibilities to let your smartphone do what you want and most of all; to have fun while learning. 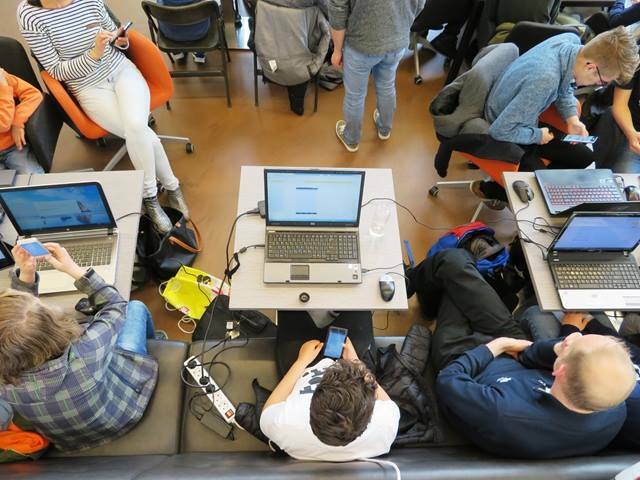 In 2016 Sjaak participated in the MIT Master Trainers Program In Educational Mobile Computing to become a certified professional in mobile computing education using the MIT App Inventor platform. Since then his motto is “Computer Science For All”. CoderDojo is a world-wide non-profit organisation that offers free coding lessons for youths of 17 and under. This open source movement started early 2011 in Cork, Ireland but it quickly spread around the world. With currently about 1500 Dojo’s spread over 60 countries all around the world and over 70 locations in the Netherlands alone, you could say it is growing rapidly! It was a thankful Saturday afternoon. Seeing so many kids having a great time enjoying themselves while discovering and exploring new possibilities: “Computer Science For All”.